Do Smart Phones Really Lengthen Your Work Day by 2 Hours? Much will be made of a study sponsored by Pixmedia that reportedly shows Britons work an additional 460 hours a year, on average, because of smart phones that allow them access to their email. The study by technology retailer Pixmania supposedly shows the average U.K. working day is between nine and 10 hours, with an additional two hours a day spent responding to or sending work emails, or making work calls. Some will question the validity of "self reported" work hours. U.S. government surveys tend to show that although U.S. employees "work longer hours" than they used, to, the differences are relatively slight. Numbers from the U.S. Bureau of Labor Statistics show a very gradually rising trend through the 1990s that has only just recently tapered off, hovering somewhere just north of 40 hours weekly. To be sure, the notion that people are being asked to work longer hours seems intuitively true, given job cuts since the Great Recession of 2008. The simple reality is that if the same amount of work has to be done, and there are fewer people to do that work, hours will lengthen. Also, some employers deliberately are choosing to employ fewer workers, but pay overtime, rather than hire new workers. All of that will tend to lengthen the average workday. Smart phones might have almost nothing to do with the trend. A survey sponsored by global professional services company Towers Watson and WorldatWork, an international association of human resource professionals, shows that nearly two thirds of respondents expect their employees to work more hours now than they did prior to the 2008 Great Recession and see this trend continuing for some time. Without access to the actual Pixmania research methodology, it is difficult to assess the validity of the claims. But some might question whether typical self-reported daily work hours really do amount to 12 hours, with or without smart phones. More than 90 per cent of office workers have an email-enabled phone, with a third accessing them more than 20 times a day, the study apparently found. That has the ring of truth, but does not necessarily translate to a "longer work day." Almost one in ten of the Pixmedia respondents said they spent up to three hours outside their normal working day checking work emails, and even those without a smart phone check emails on their home computer. Some checking is quite plausible. "Three hours" seems implausible. Also, there is a long-term change in work hours in the U.S. economy, for example. "Between 1979 and 2002, the frequency of long work hours increased by 14.4 percentage points among the top quintile of wage earners, but fell by 6.7 percentage points in the lowest quintile," according to the U.S. Bureau of Economic Research. In other words, high-income workers do work longer hours, but lower-income workers spend less time on the job. There is some truth to the notion that 40 hours of work is sort of considered "part time" work. During most of the 1900s, the hours of work declined for most American men, NBER says. 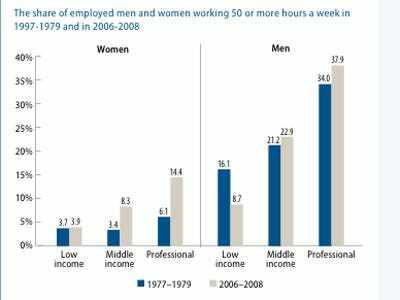 But around 1970, the share of employed men regularly working more than 50 hours per week began to increase. In fact, the share of employed, 25-to-64-year-old men who usually work 50 or more hours per week on their main job rose from 14.7 percent in 1980 to 18.5 percent in 2001. This shift was especially pronounced among highly educated, high-wage, salaried, and older men. For college-educated men, the proportion working 50 hours or more climbed from 22.2 percent to 30.5 percent in these two decades, NBER says. Between 1979 and 2002, the frequency of long work hours increased by 14.4 percentage points among the top quintile of wage earners, but fell by 6.7 percentage points in the lowest quintile. There was no increase at all in work hours among high-school dropouts. The point is that long term shifts in work hours might be occurring, but there also are likely impacts from economic conditions, the nature of work, the places where work occurs and the motivation to do such work. Smart phones are only a way of doing that work, not its cause. “Value based pricing” has been discussed in the communications industry for some time, the theory being that it makes more sense to charge customers for communications-based services on the perceived “value” of the applications or access. The principle is similar to use of toll lanes on highways at rush hour. Some consumers are willing to pay extra to use the toll lanes. Most do not prefer to do so. To be sure, current regulatory rules that require all Internet access to be supplied in "best effort" fashion are impediments that prohibit service providers from creating such differentiated products. Still, when networks are congested, for example, many consumers will be willing to pay for priority access. That is an example of value based pricing. But value based pricing has been used for quite a long time in the communications business, in some ways. You might argue that the value of text messaging is not, in fact, directly related to its cost of supply, but on the usefulness of the app. The shift to some modified version of “consumption-based” pricing for high-speed access, in place of an undifferentiated “unlimited” usage plan, is another example. In the coming years, more "communication services" might be sold as part of some other product. Using mobile networks to deliver content to tablets provides one example, where the product a customer buys is a book, for example, and the network price is simply embedded into the overall cost of the delivered content. The same is true of video entertainment services. Customers want the video, not the network that delivers the video. The amount of network resources used to deliver HBO is not different from delivering an ad-supported news channel. But the price of those products is quite different. In a similar way, mobile banking, payments or wallet services “use the network,” but the value proposition for end users is the applications. Likewise, text messaging is valuable to customers, but it is the ability to send and receive messages that is bought, not the use of the network. For the first time since the Apple iPhone was released in 2007, the number of iPhone owners who say they definitely will or probably will purchase their next phone from the same brand has declined, a survey by Strategy Analytics shows. The survey found 75 percent of iPhone owners in Western Europe say they are likely to buy their next phone from Apple, down from 88 percent in 2011. Though most suppliers would love to have such "repeat buy" sentiment, that is a decline from all past surveys. U.S. repeat purchase intentions also have dipped a bit, down from 93 percent in 2011 to 88 percent in 2012, Strategy Analytics says. Consumers are migrating away from PC-based Internet usage and are increasingly using mobile devices as their default gateway to the Internet, according to International Data Corporation. That shift to "mobile first" Internet access is especially pronounced in the U.S. market. In fact, perhaps for the first time, the number of people using PCs for Internet access is shrinking, even as PC access grows elsewhere in the world. That doesn't necessarily mean the number of fixed access lines drops, only that PCs are not the devices using those connections. Other studies back up those contentions. The use of mobile devices to access the Internet is becoming the medium of choice, with 69 percent of all Internet users surveyed doing so daily, according to Mobile Web Watch 2012, a study of consumers in Europe, Latin America and South Africa conducted by Accenture.. In addition, consumers are using multiple devices to connect to the web, including smart phones (61 percent), netbooks (37 percent), and tablets (22 percent), the Accenture study suggests. The study found that emerging economies such as Brazil, South Africa and Russia also have rapidly adopted mobile devices (more than 70 percent, on average) to access the Internet, Accenture says. Given their affordability, smart phones are more likely than other devices to serve as access gateways to the Internet in these emerging markets. This trend is set to continue, with a higher percentage of respondents in emerging markets expressing their intention to buy a Web-enabled mobile phone in the near future (Brazil, 78 percent; Russia, 73 percent; Mexico, 61 percent; and South Africa, 57 percent) as compared with an average of 46 percent for all countries surveyed. In developed European economies, mobile Internet is also on the rise. In Germany, adoption of mobile Internet access using smart phones has tripled since 2010 (from 17 to 51 percent), the study found. In Switzerland, today 67 percent of respondents use Web-enabled mobile phones to go online, compared to 27 percent in 2010. 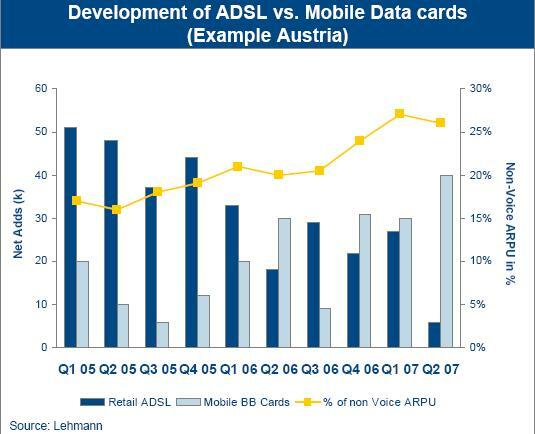 In Austria, the percentage of mobile Internet users has doubled in two years (from 31 to 62 percent). Information apps, such as train schedules, the weather, or news are the most popular downloaded apps, according to 72 percent of survey respondents, followed closely by entertainment apps (70 percent). And there is confirmation of the importance of access network quality. Fully 85 percent of the respondents said that the “quality of the network” was the most important factor in selecting a smart phone or tablet. As you would expect, “communications” leads applications used frequently by mobile Internet users. Sending or receiving e-mails through an installed program is the most popular feature among all respondents (70 percent), followed by accessing online communities (62 percent) and instant messaging (61 percent). Respondents in the emerging markets of Mexico and South Africa are the biggest users of mobile email and instant messaging (more than 80 percent of respondents in both countries). Among all respondents, 27 percent use their mobile device for tweeting and blogging, and 46 percent use mobile devices to conduct banking transactions. In the United States., the number of people accessing the Internet through PCs will shrink from 240 million consumers in 2012 to 225 million in 2016. At the same time, the number of mobile users will increase from 174 million to 265 million. In 2015, for the first time ever, there will be more U.S. consumers accessing the Internet through mobile devices than through PCs. 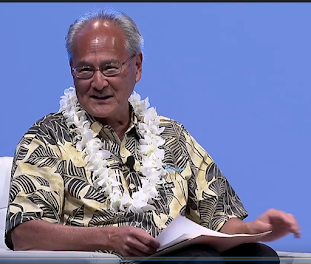 "There has been much talk about how the future of the Internet will be mobile first and PC second. In the United States, that future is now," says Karsten Weide, IDC program vice president. Online PC activities will be affected as consumers take their usage mobile. That, in turn, is going to shape the nature of business models and revenue streams for all other suppliers in the mobile Internet ecosystem. IDC expects that the share of users accessing social networks such as Facebook on their PCs will decline from 66 percent in 2012 to 52 percent in 2016, for example. Global mobile advertising will grow from $6 billion in 2011 to $28.8 billion in 2016. Global business-to-consumer mobile commerce spending will grow six fold between 2011 and 2016, as well, reaching $223 billion by 2016, IDC says. "The Great PC exodus on the Internet is happening because the PC was never truly a consumer product," added Weide. "Many consumers use them because there was no better alternative. Now, with the huge and growing installed base of more user-friendly tablets and smartphones, there are." App store revenue, at least for Apple iOS and Android app stores, now shows a clear "long tail" or "Pareto" distribution. In other words, six or so apps account for about 55 percent of total application revenue (from all sources, including app sales, in-app revenue and advertising). Keep in mind that the iTunes App Store and Google Play now offer more than 600,000 apps each. Looking at app sales and in-app revenue only, and excluding ad revenue, in 2012, Flurry estimates that the top 25 apps will earn about half of total revenue. The rest of the top 100 apps will earn about 17 percent of revenue in 2012. Australian mobile service provider Optus now says a branded retail store strategy is more important in Australia's saturated mobile services market, and is shifting effort in that direction. Optus is opening 33 new stores as well, with a focus on customer service and education as much as sales. 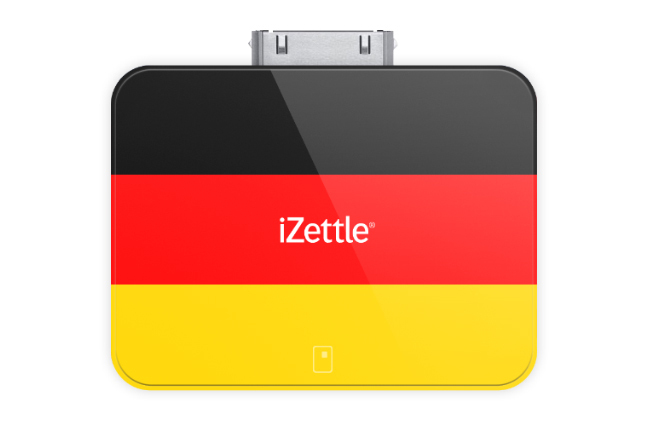 iZettle, the Sweden-headquartered firm that sells a dongle similar to Square, has entered the German market, working with DZ Bank and Deutsche Telekom. Deutsche Telekom, Europe’s largest carrier, will distribute the iZettle reader in Deutsche Telekom retail stores. It is not immediately clear whether Telekom benefits financially in a direct sense other than earning a sales commission for each device sold, though iZettle obviously increases the value of a connected tablet or smart phone, and thereby offers an indirect driver of mobile subscriptions for Deutsche Telekom. The service was first launched in the summer of 2011 in Sweden, and now individuals and small businesses is in Sweden, Norway, Denmark, Finland and the United Kingdom. “The cooperation with iZettle is a further step for Deutsche Telekom to strengthen the relevance of mobile payments in Germany and to position itself as a relevant player in the payment market, said Thomas Kiessling, Chief Products and Innovation Officer at Deutsche Telekom. Equens, a joint venture of DZ BANK with other major European banks, will process iZettle payments in Germany. Starting in November, the iZettle solution will be available at selected Volksbanken Raiffeisenbanken. Frontier Communications Corporation has lent its name to "FTR Energy Services," as part of a marketing agreement with Crius Energy. That doesn't mean Frontier Communications is "getting into the business of retailing energy services." It means Frontier is lending its name and marketing muscle, presumably, to a third party affiliate that will sell "clean energy" including electricity and natural gas to customers. FTR Energy Services is a wholly-owned subsidiary of Crius Energy and will launch in select markets in November 2012. The company will initially provide 100-percent "green electricity" to customers in New York and Ohio, and clean-burning natural gas to customers in Indiana. Some will be glad to hear that Frontier has not made a direct effort to add energy retailing to its triple play or quad play offers. At various times over the last couple of decades, telecom service providers have dabbled with the notion of adding energy services to the retail menu, as some also had dabbled at home security. Financial results have been quite mixed. None of that is stopping cable companies and telcos from taking another look at home security, particularly as broadband access, smart phones, tablets and video now offer opportunities not available before. The historic problem with energy services is the low profit margin. Traditionally, a service provider would wholesale capacity from a utility, then offer a discount to consumers. The problem always has been the thin profit margins. So some will be happy Frontier has not gotten enamored of that approach. Instead, it simply seems to be testing a way of earning a bit of incremental revenue from a marketing partnership. The more lucrative opportunity might arise from selling automated meter reading or energy management services to firms such as Crius, at some point. General patterns of smart phone use, across a typical day, resemble the usage pattern for tablets, according to Flurry, with one salient exception: tablets are used less than smart phones during the workday, and more than smart phones during the evening hours, Flurry says. At a high level, consumers spend more time using tablets for media and entertainment, including games (67 percent), entertainment (nine percent) and news (two percent) categories which account for nearly 80 percent of consumption on tablets. Smart phones claim a higher proportion of communication and task-oriented activities such as social networking (24 percent), utilities (17 percent), health and fitness (three percent) and lifestyle (three percent), representing nearly half of all usage on smart phones. Games are the most popular category on both form factors with 67 percent of time spent using games on tablets and 39 percent of time spent using games on smart phones. Consumers also spend 71 percent more of their time using games on tablets they spend doing so on smart phones. President Francois Hollande told Google CEO Eric Schmidt that France would pass legislation to force Google o pay for displaying links to news articles unless it struck a deal with French media outlets providing those entities payment for linking, essentially. Google obviously doesn't agree with the policy. Press associations in France and other European countries want Google to pay when it displays links to newspapers in Internet search results. The tussle isn't new. Owners of copyrighted material, especially those losing revenue and relevance to online media, obviously would prefer to be paid by search engine application providers. That revenue would help offset revenue losses in other areas, including subscriber fees and advertising. Google, of course, prefers to argue it merely is indexing and "pointing users to" such sites. Owners of newspaper or magazine sites are free to put their content behind a "pay wall," of course. It is reminiscent of the imilar friction between Internet service providers and third party applications that are delivered over Internet service provider networks. In the end, it's all about the money. Google says they send four billion clicks per month to publishers and one billion of those clicks come from Google News. Google News is free, there are no ads on Google News, but yet Google has an AdSense program that paid out over $6.5 billion to U.S. publishers from in 2011. French news publishers obviously feel otherwise. If we are entering the era of the nomadic Web, a major question still remains: will most of the content, interactions, and organizing principles of the wired Web simply migrate to the wireless world? Even if the answer is, for the most part, yes, the speed of this transformation and the route it will take are far from certain, McKinsey analysts say. The fates of many leading stakeholders could be affected, for better or worse. The reason Google, Apple, Yahoo, Amazon, Facebook and many other application providers are racing to secure a foothold in mobile apps is that it is not certain PC-based business models are completely transferable to the mobile domain. Looking just at advertising, display advertising, a mainstay of the PC web, does not translate very well to smaller screen smart phones, and requires some reworking for tablets that do not support the traditional "keyboard and mouse" interface. Also, tablets are not used for the same reasons, or at the same places, as PCs and notebooks have been used. "Location," directions and other attributes of the "out and about" nomadic web likewise are different from traditional "search" and "information requests" typical of the desktop web. There is a greater commercial angle, for example, as people more often are looking for something to buy now, someplace to go, right now or someplace to go soon. Nor is it clear how consumer use of access networks might change, from fully mobile to untethered. There will be some consumers who might find that mobile broadband, possibly using personal hotspot features, are suitable replacements for fixed network access. Also, though the typical assumption is that bandwidth consumption only increases over time, the nomadic web could change those expectations. In terms of raw data consumption, 90 percent of people trolling the mobile Web use fewer than two gigabytes a month. If people begin to rely on mobile web for most of what they do on the web, that could dramatically change expectations about bandwidth growth. To be sure, there are lots of reasons for consumers to use fixed connections. But Austria, though an exception to the current rule, already features more people using the mobile web than fixed connections to the web. Access aside, the design and use of applications in a nomadic context is different from apps used in a PC mode. Google's new Nexus 4 smart phone will be sold unlocked and without contract on the Google Play app store. the United States, United Kingdom, Australia,France, Germany, Spain and Canada, Google says. The 16GB version also will be sold by T-Mobile USA for $199, with a two-year contract. 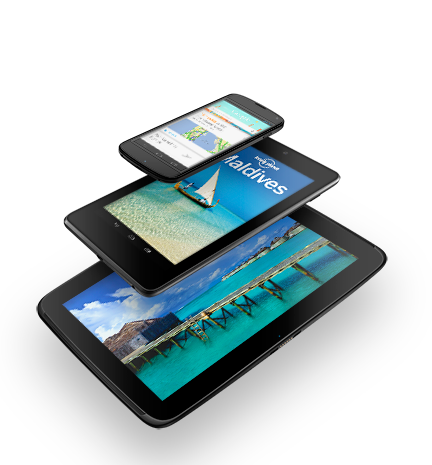 Google also unveiled the Nexus 7, a seven-inch screen tablet, as well as the Nexus 10, a tablet with a 10-inch screen. The Nexus 7 featuring 16GB of memory will sell for $199, while the 32GB version will sell for $249; available in the U.S., U.K., Australia, France, Germany, Spain, Canada and Japan, and also through retail partners Gamestop, Office Depot, Office Max, Staples and Walmart. The Nexus 7 with 32GB and mobile data will sell for $299, unlocked, starting Nov. 13, 2012, on the Google Play store in the U.S., U.K., Australia, France, Germany, Spain and Canada. The Nexus 10 with 16GB will sell for $399; the 32GB model will sell for $499; available on Nov. 13, 2012, in the Google Play Store in the U.S., U.K., Australia, France, Germany, Spain, Canada and Japan. How Much New Revenue Must U.S. Telcos Generate, Over the Next 5 Years? How much incremental revenue might the U.S. telecom business need to generate over about the next decade to replace lost revenues from landline voice, mobile voice, mobile messaging and other revenues related to voice? Perhaps $33 billion, one might argue. That is the amount of voice revenue U.S. service providers (fixed and mobile) will lose between 2010 and 2015, Verizon says. And the good news is that it probably won’t be a problem, at least for the leading mobile service providers. The precedent in the U.S. market was long distance revenue. Over about a decade, service providers moved from earning about half of their total revenue from long distance, to earning about half their revenue from mobile services. In North America, some believe voice connections should shrink by about half between 2007 and 2016, a period of nine years, according to Pyramid Research. As a rough illustration, look only at the U.S. market, where some have forecast annual six percent declines in fixed network voice revenue. If that proves to be accurate, then U.S. fixed network voice providers might have to replace about $33 billion in annual revenues between 2010 and about 2017, while mobile service providers might have to replace about $5 billion in voice revenues. To be sure, much of the immediate answer already is in place, namely video entertainment, fixed broadband access, mobile data and possibly other contributors such as hosting and data center revenues. Insight Research, an aggressive optimist, predicts U.S. service provider revenue could double in just the next five years. The firm predicts that, between 2011 and 2016, North American carrier revenue will rise from $287 billion to $662 billion, representing 11 percent compound annual revenue growth. That rapid growth, on a compound basis, would lead to a doubling of industry revenue in five years. That doesn't mean providers in every segment will benefit equally. But overall revenue growth will happen mostly at the largest service provider entities. The forecast explicitly assumes that U.S. service providers successfully will grow new revenues at a rate fast enough to compensate for weakening voice revenues, Insight Research believes. In one sense, it therefore is possible to suggest that U.S. service providers will, once again, succeed in transforming their businesses, as they did when long distance revenue shriveled and was replaced by mobile revenues. How Many U.S. Mobile Service Providers are Optimal? With the recent mergers of T-Mobile USA and MetroPCS, and the purchase of Sprint by Softbank (assuming both transactions pass regulatory muster), there is once again an active discussion in many quarters about the future shape of the U.S. mobile service provider business. What seems a safe observation, though, is that the number of successful mobile service providers will be few in number. 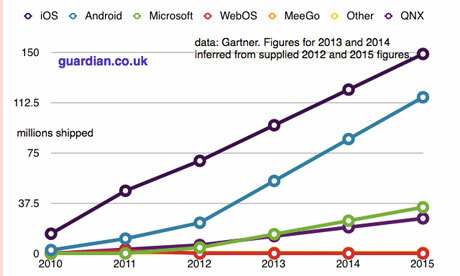 The only question is “how few?” In many markets, there are four to five major providers, in terms of market share. But just how stable a market that is is questionable. The Rule of Three holds nearly everywhere. While the percentage market share might vary, on an average, the top three mobile service providers control 93 percent of the market share in a given nation, irrespective of the regulatory framework. Some might argue that scale effects account for the relatively small number of leading providers in many capital-intensive or consumer electronics businesses. At some point, the access business can have only so many facilities-based providers before most companies cannot get enough customers to make a profit. Eventually, only the top three service providers control the majority of the market. There are niches that others occupy but they are largely irrelevant to the overall structure and functioning of the overall market. Younger mobile markets can see five to six significant contestants at first, each with at least 10 percent market share. Over time, that winnows to three, history suggests. To be sure, there are plenty of markets where four to six major contestants operate, but even there, about three firms control most of the actual customer and market share. The competitive equilibrium point in the mobile industry seems to when the market shares of the top three providers are 46 percent:29 percent and 18 percent, some might argue. At such a structure, the top three providers have 93 percent of the market. That roughly corresponds with a rule of thumb some of us learned about stable markets. The rule is that the top provider has twice the market share of the contestant in second place, while the number-two provider has about twice the market share of the number-three provider. That suggests the U.S. mobile market still has room to change. At the moment, Verizon Wireless has perhaps 34 percent share, while AT&T has about 32 percent share. Sprint has about 17 percent, while T-Mobile now has about 13 percent. Classic theory would suggest the ultimate market share could approach a market with the top-three providers having a market share relationship something like 50:25:12. Real markets always vary from “textbook” predictions, but a “rule of three” market structure seems likely. That would have highly-significant implications for the four current U.S. providers that today represent 93 percent of all subscribers. One would presume the long-term viability of Sprint and T-Mobile USA is questionable. With the possible exception of Google Fiber's 1-Gbps symmetrical broadband service pricing in Kansas City, Mo. and Kansas City, Kan., few consumer customers likely would agree that retail prices for 100-Mbps or faster services are "affordable." Some business users, and to date it is likely that most buyer of 100-Mbps services are businesses, might say the price-performance of a 100-Mbps high speed access service is reasonable, though, especially compared with retail pricing of much-slower T1 services, for example. Still, many observers would point to prices for 100-Mbps services in other countries as examples that U.S. services are overpriced. Kong Broadband’s service to a high of $560 per month at network operator Turkcell, according to a study by Joe Savage, Telecom ThinkTank principal, and Michael Render RVA Market Research principal. It is hard to ignore South Korean pricing of $27 a month for a gigabit per second service, even given the high density that characterizes most South Korean networks (higher density means lower per-dwelling cost). But there are logical reasons for such price differences, namely that prices roughly correlate to the capital investment required to pass a subscriber in the serving area, the authors say. For example, it costs $200 per home passed in Hong Kong, compared to $1,000 to $4,000 per home passed in Europe and North America, the study notes. Population density might be the single most important factor determining the cost of any fiber to home network build. A related issue is average “loop length,” a metric that is roughly related to population density. U.S. service providers have to supply service over much longer average loops than service providers in Europe, or in many “city states” that feature high-density housing. Basically, retail cost everywhere is related rather directly to network investment cost. That has direct implications for retail pricing. In other words, based strictly on the costs of the infrastructure, consumer broadband "should" cost an order of magnitude more than in Hong Kong. Google Fiber in Kansas City is among the first examples of a U.S. service provider trying to deliver an arguably disruptive level of bandwidth that is an order of magnitude or even two orders of magnitude faster than what most consumers can buy today (1 Gbps, not just a hundred megabits per second), at vastly lower prices, for such a service. The issue is whether a cable company or telco, with different cost structures, can afford to replicate that level of retail pricing. Some would argue they cannot. Google might have a few advantages related to outside plant costs, but nothing significant enough to affect its costs of construction. The potential long term advantage will be in the operating and marketing cost arena, plus the overall lower overhead. Google does not carry the huge pension obligations a telco does, for example. The point is that there are clear reasons why retail pricing for high-speed Internet access is so different in different markets. Costs of construction, not to mention all other costs, can vary by an order of magnitude. FreedomPop has just announced that its WiMAX-capable iPod touch cases are now shipping. The sleeve wraps around an iPod touch and uses the Clearwire network to create a local Wi-Fi connection for the touch that is nomadic. The sleeve costs $99 and reportedly operates for six to eight hours on a single charge. FreedomPop also is working on a mobile VoIP app, allowing a FeedomPop-equipped iPod touch to function just like a mobile phone. The global mobile phone market grew 2.4 percent, year over year, in the third quarter of 2012, lead by Samsung and Apple. Nokia dropped off the "top five" list of smart phone vendors. 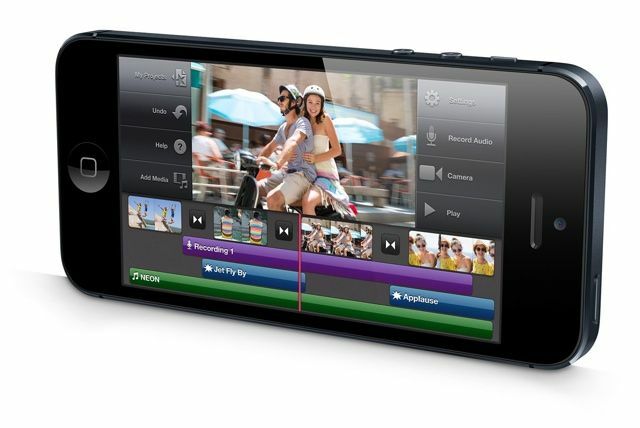 Vendors shipped a total of 444.5 million mobile phones in the third quarter of 2012, compared to 434.1 million units in the third quarter of 2011, IDC says. In the global smart phone market, suppliers shipped 179.7 million units in the third quarter of 2012, compared to 123.7 million units in the third quarter of 2011. The 45.3 percent year-over-year growth was slightly above IDC's forecast of 45.2 percent for the quarter. Korea’s "over the top" messaging service TicToc has set its sights abroad with the international launch of TicToc Plus TicToc Plus on the Google Play store and an upcoming iPhone app. The recently updated TicToc Plus Android app offers unlimited calls and messages, integration with Facebook photos and YouTube videos, stickers and group chat. The app is currently available in English and Korean with more languages planned soon. Over the top messaging apps are anything but unusual these days. But what is more noteworthy is that Tic Top Plus is owned by Korean mobile service provider SK Telecom. Some service providers, such as Telefonica, have launched their own services. Others, such as Sprint, simply integrate with one or more favored over the top providers. Embrace or resist, every mobile operator has to have a strategy for dealing with over the top messaging and voice. Text messaging (short message service, or SMS) still dominates the mobile messaging market in both traffic and revenue terms. SMS revenue is forecast by Portio Research to dominate worldwide mobile messaging to 2016. MMS is the second most successful non-voice mobile service, but generates less revenue than mobile e-mail. Mobile IM generated the lowest revenue in the mobile messaging market in 2011, but it will surpass MMS revenue by end-2016. SMS made the highest contribution to worldwide mobile messaging revenue in 2011 with a 63.5 percent share, Portio says. In 2016, SMS will continue to lead other messaging services, but its revenue share (of the then $310 billion market) will have eroded to sub-50 percent. Vodafone is launching its own mobile wallet service in 2013, allowing Vodafone’s customers to use their smart phones to conduct a number of transactions, including paying for goods and services at the point of sale, during 2013 CorFire says. Near field communications seems to be the technology of choice for the global initiative. NFC remains a controversial choice of device to point of sale terminal communications in some quarters, but NFC clearly is the favored mobile service provider communications protocol. Vodafone has approximately 406 million customers in its controlled and jointly controlled markets and equity interests in over 30 countries across five continents and more than 50 partner networks worldwide. As is often the case, Vodafone also participates in other mobile wallet ventures, including Weve, the newly rebranded "Project Oscar" venture of a U.K. mobile operator consortium including EE (Orange and T-Mobile), Vodafone and O2. Though the official launch of the Google Nexus 7 tablet is delayed by Hurricane Sandy, pricing news is available because retailers already are advertising them. The 32GB Nexus 7 is priced at $249 and the 16GB version is priced at $199 at Office Depot, Droid Life reports. The prices are not terribly surprising, given trends in the broader market, especially pricing of Amazon devices in similar form factors. Tablet computers will see an explosion in sales over the next four years, selling 60 percent as many units as PCs by 2015, Gartner predicts. 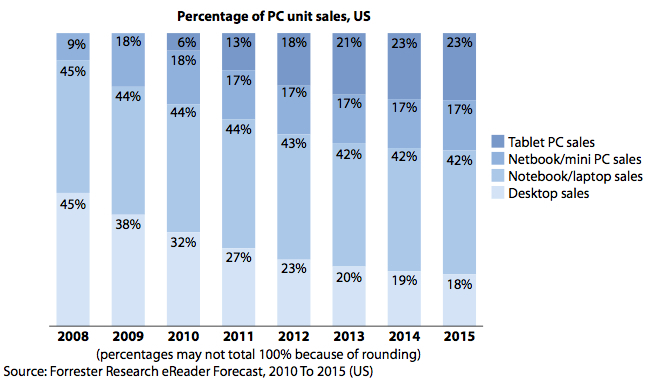 Most analysts predict that PCs will outsell tablets for quite some time. Forrester Research has estimated that in 2015, PCs, including notebooks and desktop units, still will outsell tablets in the U.S. market by a better than two-to-one margin. The United Kingdom mobile payments venture originally code named "Oscar," and operated by a consortium of U.K. mobile operators including EE, (Orange and Deutsche Telekom), Vodafone and Telefonica’s O2, have chosen the retail brand name "Weve." Along the way, the consortium has modified its anticipated revenue model, as have others in the young market. Originally, the idea was that the consortium would provide a single network platform for all participating card issuers (banks, for example), and would take part of the transaction fee. After a European Union investigation of potential antitrust issues, as well as stout opposition from Visa and MasterCard clearing networks, Project Oscar was refocused on mobile advertising and mobile commerce. Now "primarily aimed at advertisers looking to engage in mobile commerce," Weve has adopted the "mobile wallet" approach also used by Isis and Google Wallet.